Access Flooring a true necessity! The Gridd System by FreeAxez supports an Integrated Project Delivery Approach that encompasses the design of whole building systems, construction processes and building outcomes; and maximizes efficiency through all phases of design, construction and occupancy and ensures increased life-cycle value to the Owner. Being the preferred vendor in the Greater Ottawa region, we provide sales, technical support, installation and after sales service. 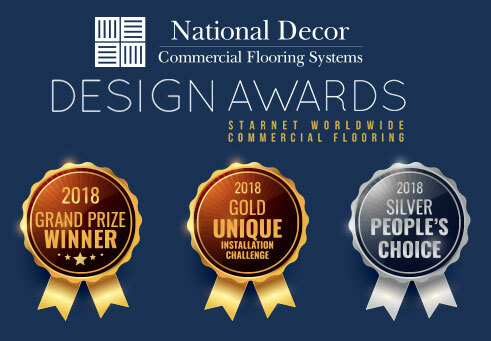 The Starnet Flooring Seal of Excellence represents higher expectations, and dependable success on commercial flooring projects, with 165 members at more than 300 locations throughout North America, Starnet membership represents the highest standards of excellence in the industry. Each member has a reputation built on quality, reliability and service. For outstanding results on flooring projects of all types, trust Starnet’s collective strength and integrity.